Be sure to check your email shortly! LOVE YOUR WORK. LOVE YOUR LIFE. 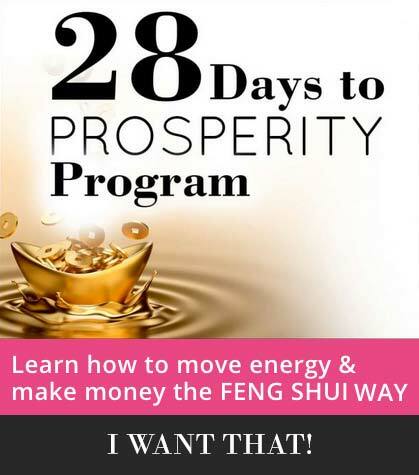 Learn How to Move Energy & Make Money the Feng Shui Way! No one lives in a vacuum, and that means we change from year to year. One of the critical components of classical Chinese feng shui is the understanding that feng shui also changes from year to year. That’s why one year is great and the next might tank. It’s one of the reasons many people follow and practice classical Chinese feng shui — it helps them to understand why things change from year to year and why things happen in their lives the way they do. When it comes to classical feng shui, the most important energy to follow is the annual energy. These are the most potent and current, and of all the energies and afflictions, the 5 Yellow is by far the one that has the potential to cause the greatest physical and financial damage. The 5 yellow is often called the bone breaker because of its ability to inflict major injury, like broken bones. This happened to my own mother, who had a 5 Yellow at her front door and then suffered a broken leg. The 5 Yellow it at its greatest malevolence when it creates severe illness, which can impact your ability to make a living, or having to spend excess amounts to treat your injuries or health. Remember: your health is your wealth. Make sure you take the time diagram your home so that you always know where the 5 Yellow flies. In 2018, it flies to the north, and in 2019, it moves to the southwest — where it is at home and is the most dangerous. In 2020, it will be in the east, and in 2021 it flies to the southeast. It is most serious when the affliction lands in your bedroom, front door, or home office. It will create more likelihood of severe hardship if it flies to a sector of your home where you have any kind of a flame, such as water heater, gas stove, kitchen, fireplace, or even a barbecue. 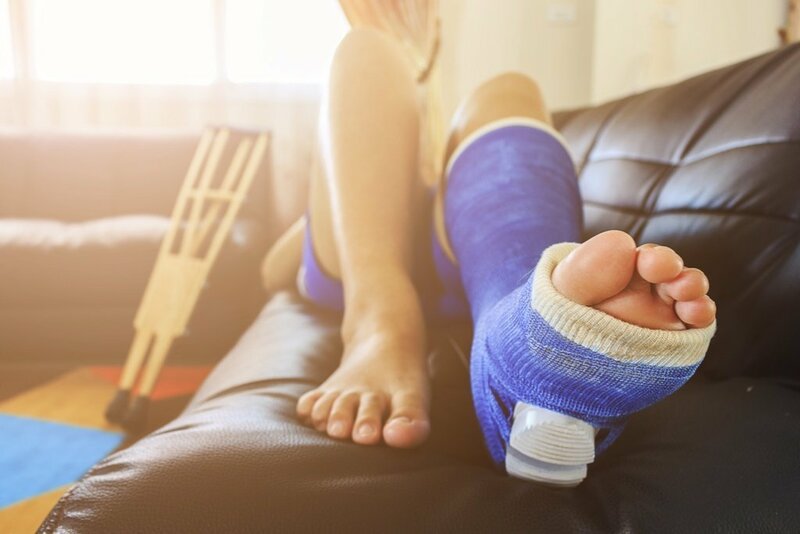 If you have a 5 Yellow in any of these areas of your home, this is not a good time for rough sports like motocross or skydiving or other dangerous activities because they could cause injuries to be very serious – think paralysis, spinal problems, broken necks. This is also true for children’s rooms. If kids don’t want to wear their bike helmets, make sure you insist on it. Don’t let kids take any kind of shortcuts where safety is concerned. The 5 Yellow can also cause problems with money too. This means in addition to problems with health, you should keep a very close eye on finances as well. Double this if you have a house, bedroom or home office that is in the sector of the 5 Yellow. Tread a careful line at work if there’s talk about layoffs. Another concern is anyone who is sick, very old, very young, the infirm, or pregnant. If possible, remove anyone like that if they are in a bedroom where the 5 Yellow flies because it could pose a serious risk to their health. That’s not to say someone who is perfectly healthy couldn’t have problems, because they can with this malevolent energy that’s intent on wreaking havoc. In 2018, the worry will be with jobs and problems with the ears, kidney or bladder. In 2019, the 5 Yellow can create problems for the woman of the house or create health problems with the abdominal region, such as stomach, gall bladder, liver, etc. It may also cause problems with relationships, as the southwest rules relationships and marriage. In 2017, be concerned about friendships and if your friends are truly your friends and if they have your best interests at heart. Always check annual feng shui for remedies and suggestions on how to handle. 1. The Five Yellow is an earth element affliction occupies 45 degrees of the compass. Therefore, its influence covers a large area of space in your home or office. 2. The five yellow is related to five earth energy. This is because five is associated with the color yellow and with earth. 3. The Five Yellow is worst when it’s located at important areas, particularly the front door, an office (if you have a home office in an afflicted sector), and your bedroom, or where there is fire. 4. The Five Yellow can bring disastrous financial and health problems, such as bankruptcy, broken bones, accidents or cancer. Severe problems result when this affliction isn’t addressed. 5. Simply working in a sector where the Five Yellow is located, opening and closing your front door, being active in a room where the five yellow is located is enough to “activate” it. 6. Fire activates the 5 Yellow. Stringently avoid red colors, flames, candles, and fire elements wherever the 5 Yellow flies. 7. Use moving metal to help drain the 5 Yellow. This can help drain the 5 Yellow. Good remedies include a pendulum clock, wind chime, fans, or ceiling fan. The remedy for the Five Yellow is based on the Five Element Theory. To exhaust earth energy, you add metal, making an all-metal, six-rod wind chime or 5 Element Pagoda a perfect way to exhaust the five yellow. If the Five Yellow is at your front door, it would be wise to add a six-rod metal wind chime next to the door or place six Chinese coins above the doorway. Yet another remedy is the pendulum or chiming clock. If you have a toilet located here, this will help press down the negative energy. Likewise, if there is a large cabinet, closet, or storeroom, this will also help to “lock up” the affliction. If your kitchen sink is located in the center sector, it will help drain away the 5 Yellow. Avoid turning on lights in this sector as lights represent fire and this activates the Five Yellow. Likewise, keep the area quiet and DO NOT DIG here as this will stimulate the five yellow. If possible, avoid the room in this sector. If not, keep plenty of metal around. If you have a closet here, keep it closed. If you have the ability to move out of a room that is in the five yellow sector, then do so. If not, make sure that you do apply some kind of remedy. If the five yellow is in the bedroom, a brass wu luo or 5 Element Pagoda is a wonderful remedy. And absolutely at all costs avoid having lighted candles as this will fully activate the 5 Yellow! NEVER PERFORM RENOVATIONS, OR DIG IN THE LOCATION OF THE FIVE YELLOW, OR HAVE FLAMES HERE. What if my kitchen is located in the 5 Yellow sector? This is a tricky situation. If you have an electric stove, it’s not as serious. If you have a gas stove or oven, every time you use it, you’ll be activating the 5 Yellow. For this reason, I would suggest that you add a large vase of water or a tabletop fountain nearby. 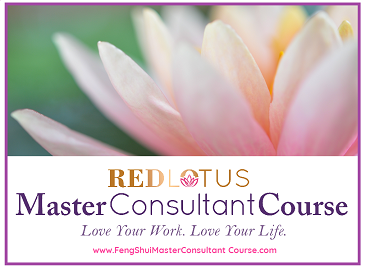 Kathryn Weber has over 20+ years of feng shui study, practice and professional consultation. Her witty, no-nonsense style appeals to audiences, making her a popular speaker and radio show guest. She is often called on by media to explain feng shui in down-to-earth terms, and has been featured in Seventeen, First for Women, Faces, Conceive, Martial Arts Professional, and Natural Health magazines, and on websites around the world.